It can be done but is it worthwhile? Complete Ln106 and other useable model bodys aren't all that dear to purchase whole these days and it aint alot more work in swapping the whole body compared with welding in a new roof. Last edited by raytriplej on January 3rd, 2011, 10:58 pm, edited 1 time in total. Last edited by raytriplej on January 3rd, 2011, 10:57 pm, edited 1 time in total. The links boof has listed at the begining arnt linking ? Recently had a bit of time up my sleeve so decided to use the various junk I had in the shed and make up a glycol/air intercooler setup for the 4runner. Thought Id post it up to show how easy it is. 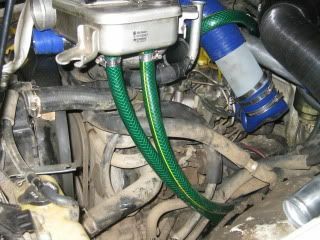 - 19mm hose, I used HD garden hose as heater hose is pricey. - 12" thermofan and control device. 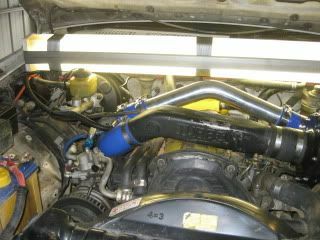 - KnN airpod and universal intercooler piping kit. 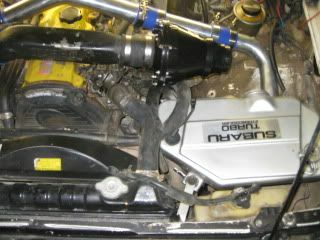 I sacrificed my second battery and made up some brackets to mount the intercooler there, I plumbed the hotside using 50mm alloy bends and used 2 45 degrees elbows to complete the 75mm cold side. 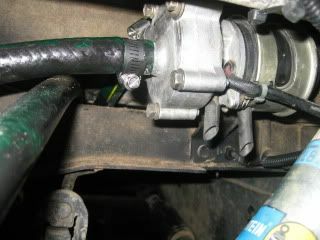 The 2 water lines run down along the chassis rail and are cable tied in a fashion that allows any air to flow up. The pump bracket is mounted on the fuel tank crossmember and I mounted the heat exchanger forward of the spare tyre crossmember. The thermofan and pump relays are mounted in the rear side pocket of the cabin. Last edited by A1 Mech on December 7th, 2010, 5:30 pm, edited 1 time in total. I ended up using sum 75mm duct from the airpod to the snorkel, I also redid the crossover pipe to sit flat on the tappet cover. The airpod just skims the bonnet but I have glued a sheet of rubber to the bonnet to insulate. You will need to insulate any parts from rubbing or from heat. 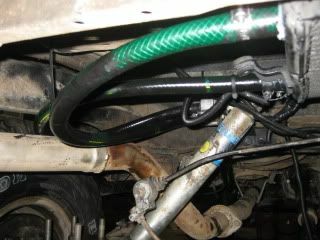 I made sure that the hoses were a decent distance from the exhaust. 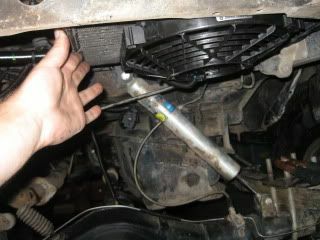 The hose connections on the intercooler will need to be cut an reflared. 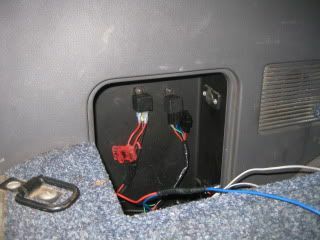 The best part about this install is that it is very flexible and can be adjusted to suit each vehicle and installer, I would have loved to fit the heat exchanger to the front but there is simply no room there with the AC gear. My intake temp has on average dropped by 50% and the thermo kicks in at 40c to keep it cool when rock crawling. i dunno if it might be a prob on my end, but none of these links have worked so far!! and im needin to be researchin installin diff centres!!! after long enough, people will soon start to see, that our planet will tremble at the sound of the 75 series land cruiser, of all different shapes and sizes. Why dont the links work anymore? What happened to all of raytriplej's posts?